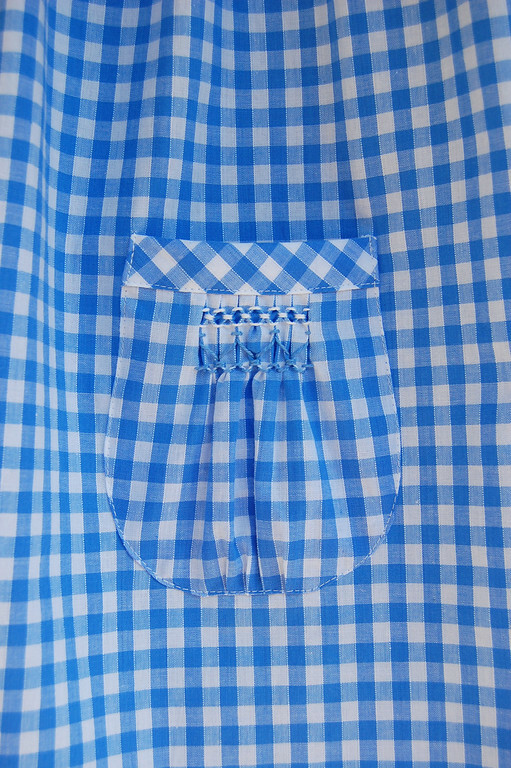 Here's a smocked variation on the yoked patch pocket. 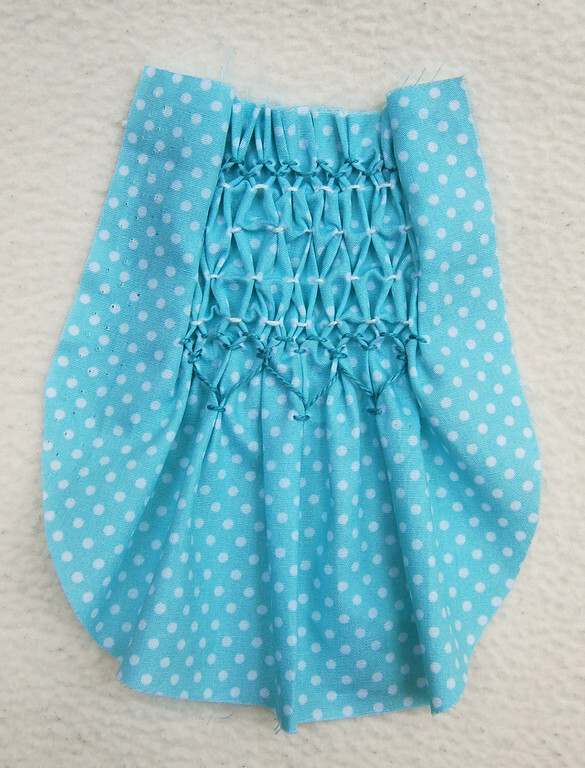 For the full tutorial on the smocking itself, see here. 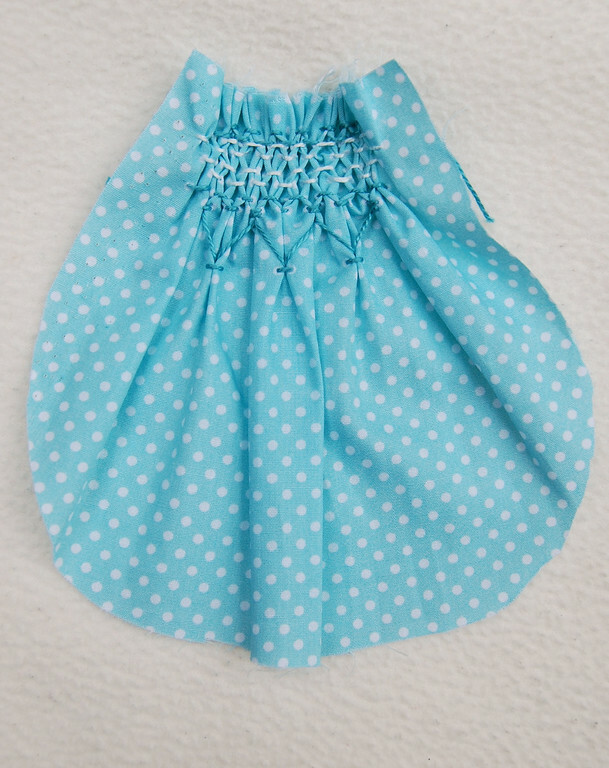 In this post, we'll merely be harping on the fact that these pockets have yokes. As with all gathered/pleated/shirred pieces, you'll need to start out with a piece of fabric that is much wider than the finished pocket. Remember not to smock all the way to the top edge - leave some allowance for tucking into the yoke. 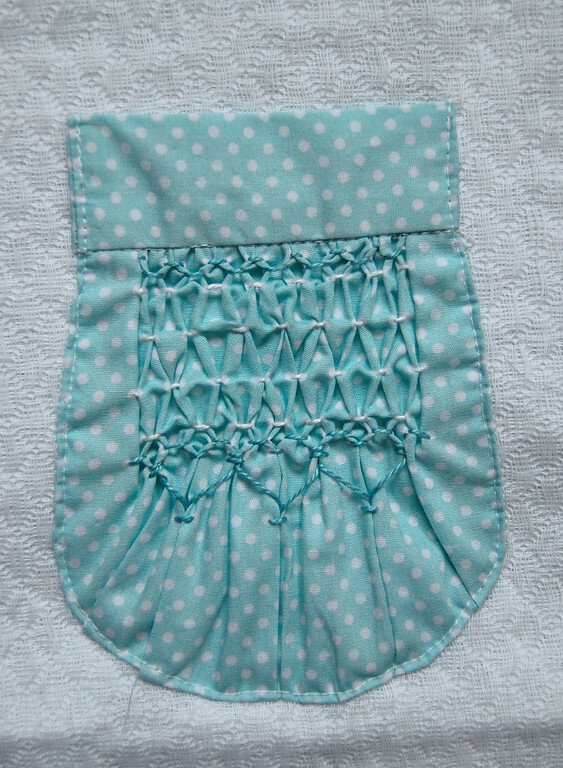 When you're done smocking, you'll have, essentially, a heavily-pleated pocket. 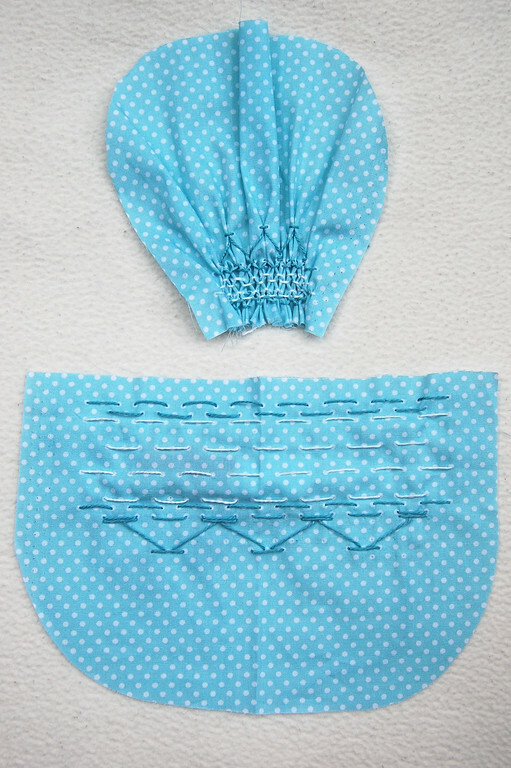 These two have the same smocking stitches, just spaced differently vertically. Attach the yokes - see this post for how to. 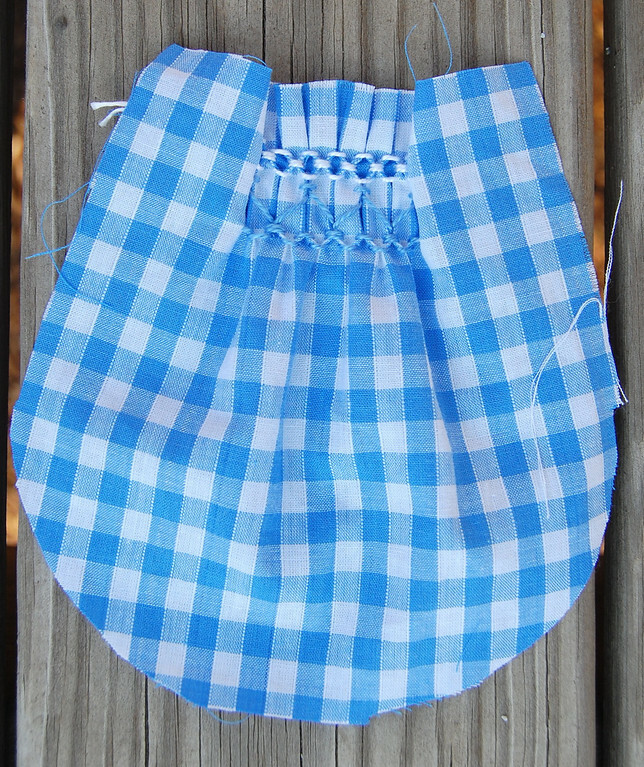 The pleats are pressed and the curved edge of the pocket folded in and top-stitched down. They were not gathered like the original puffy gathered pocket. 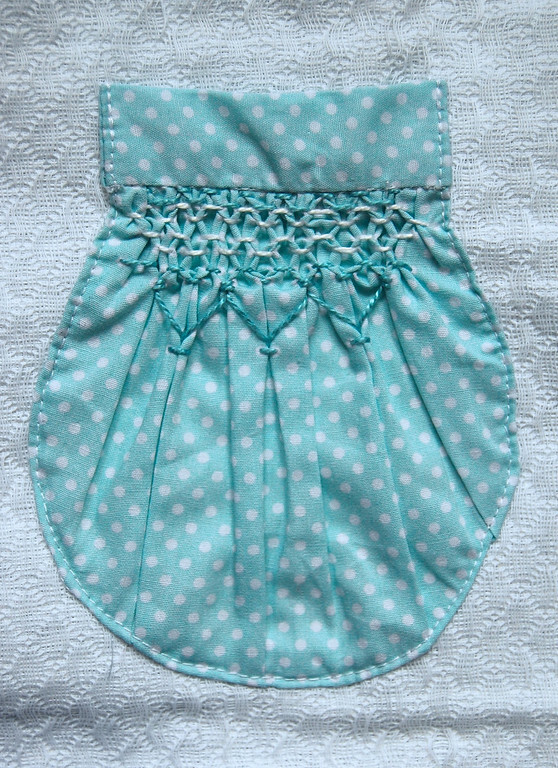 The yoke was cut on the bias to give a contrasting print pattern to the main pocket and garment. See here for the whole dress, if you're interested. Almost forgot to mention that sometimes I use a light iron-on/fusible interfacing for the yokes of these pockets, particularly when there is a lot of bunched fabric tucked into those yokes. 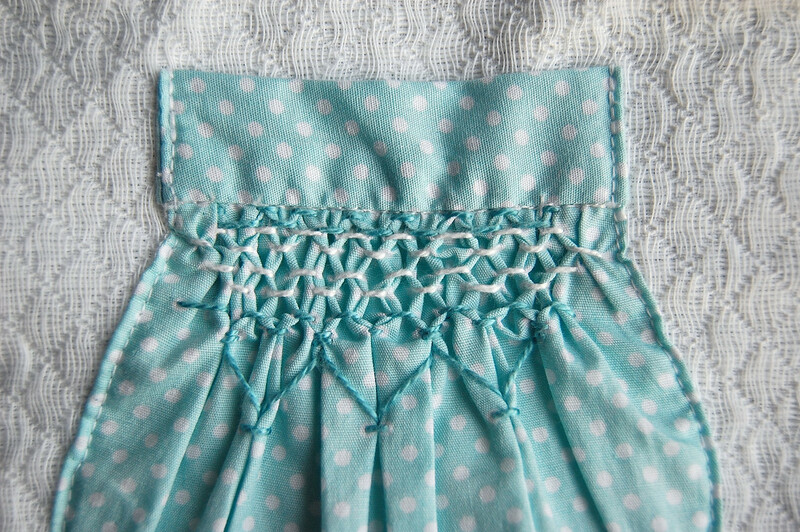 The interfacing keeps the yoke flat, smooth and crisp over all the pleats and gathers. This is really very nice and thanks for the instructions.